Release XPressME Integration Kit Ver2.4.0. 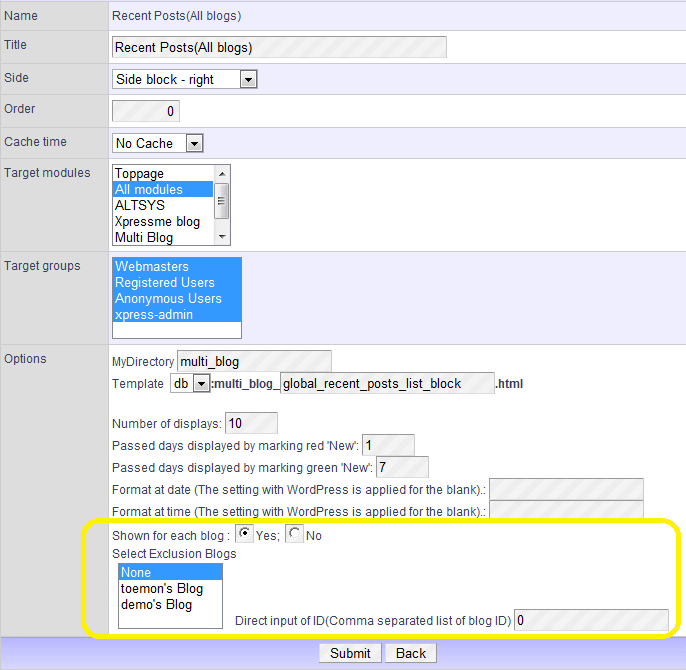 The automatically update function to the latest file of the XPressME module was added. 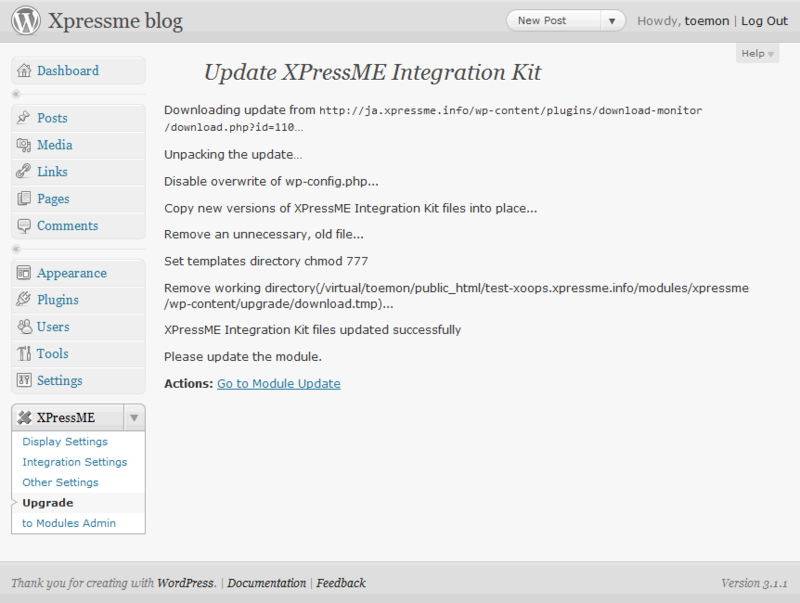 To automatically of the XPressME module update it, WordPress2.8 or more is needed. 1. Download the update package to the working directory. 2. Uncompress the update package into the working directory. 3. Remove wp-config.php from the update file in the working directory. So as not to change the wp-config language setting. 4. Copy the update file in the working directory to the installation directory. 5. Deletion of old, unnecessary file from installation directory. 6. Deletion of work directory. The xpress_default theme is overwrited by the update.